MILWAUKEE--(BUSINESS WIRE)--REV Ambulance Group, a division of REV Group, Inc. (REVG), a manufacturer of industry-leading specialty vehicle brands, has announced the launch of the first ambulance to provide built-in ballistic protection for paramedics and EMTs. The REV Guardian was designed in response to the increasing threats faced by first responders. 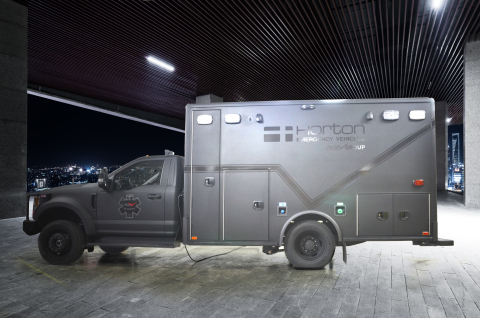 The Guardian is a fully functioning ambulance wrapped in Level IIIA ballistic protection. This provides protection for first responders’ entire bodies in the same manner that commonly-issued ballistic vests and helmets protect the chest and head. In addition to meeting the ballistic protection the REV Guardian can operate as a standard unit within a fleet of ambulances. REV Guardian represents the latest in a long line of industry-leading innovations intended to keep our nation’s first responders safe while answering their call of duty.